The next time you choose to walk, run, drive/ride, or take a tour to a new place, here is an all new guiding light! A great alternative for your regular maps could be your walking shoes, enabled with Bluetooth. 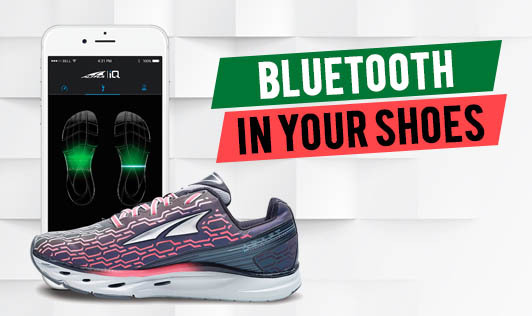 Your phone can be connected to your shoes via Bluetooth and the GPS will signal your shoes to buzz and these will help you get your directions right. When you need to go left, your left shoe will buzz and when you need to take a right; the right one will buzz. Those with visual impairments can also navigate this way. Well that’s not all. The shoes can count your steps and help calculate the calories you just lost. Additionally, the shoes provide alerts when in proximation to specific landmarks or when you are about to forget/lose your phone. There are shoes with lights flashing for indications as well. For these shoes to survive, a rechargeable battery requires to be slipped under the sole. So you will need to charge your shoes using a charger that voice shares the charged level at the snap of your fingers! The initial prototype pair infact, were heels which means you don’t have to give up on your element of style or the need to add a few inches to your height. Although, even with walking shoes there is going to be every possible variant for you to select from.